There are plenty of tempura restaurants in Japan and even the cheap ones are pretty good to the Japanese taste buds. 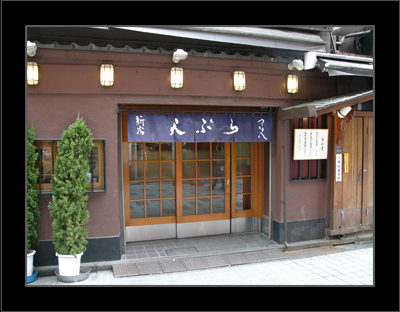 But for a more refined trip visitors should try Tsunahachi. The main shop (picture shown) is in Shinjuku, but like many successful specialist restaurants in Japan they also run several other restaurants as part of a 'mini-chain' while keeping quality high; something we seem generally unable to do in Europe. It may feel less authentic wandering in to a restaurant on the 7th floor of a department store as we did but once ensconced it feels like the genuine article with the benefit that it's just 5 minutes from the exit Tokyo station. which at a fraction under 4,000 yen is pretty good for dinner of this quality.